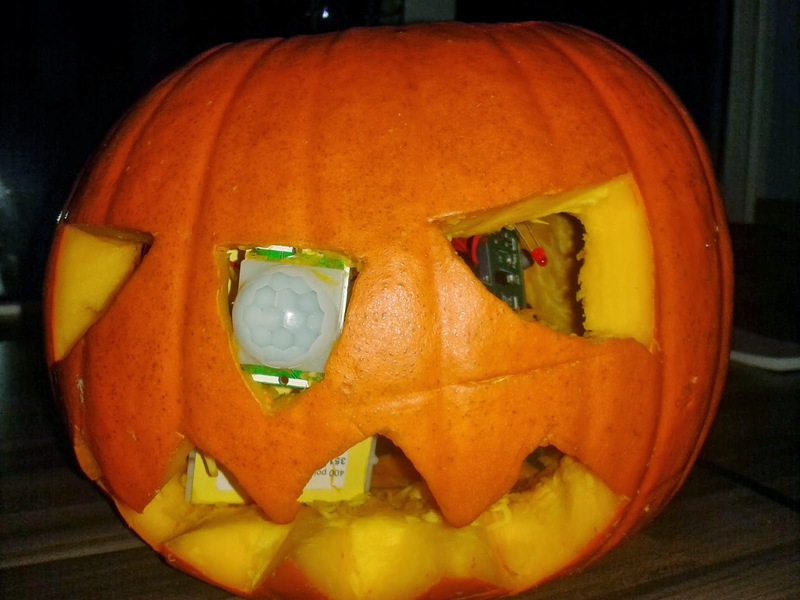 I wanted to make my son a hi-tech Halloween Pumpkin which would light up and make scary noises when a unsuspecting zombie, witch or alien walked up to the door, so out came a raspberry pi, PIR sensor, soldering iron and a load of led's. 2 red led's went into the pumpkin's eyes, 2 large super bright white led's went into the middle and the PIR sensor was bodged into his nose, all connected together with some dodgy wiring. 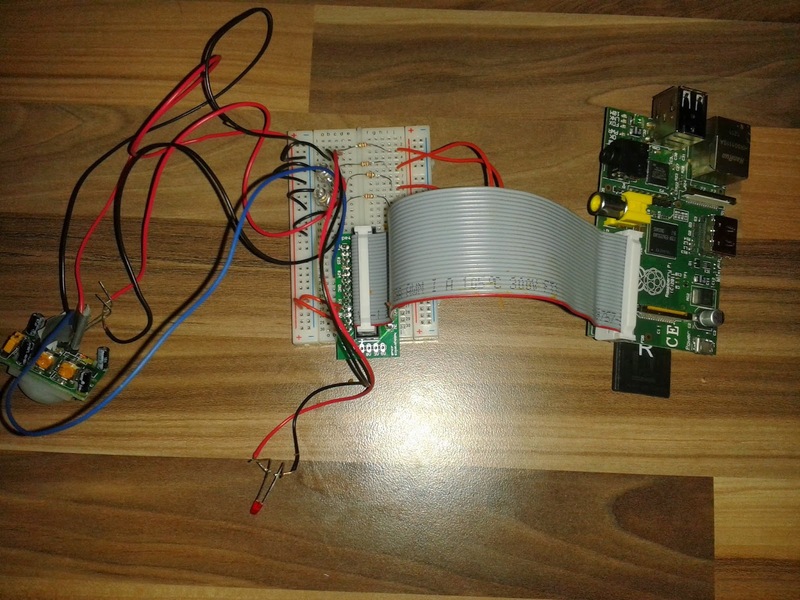 I pushed the raspberry pi and a x-mini speaker into the middle and all that was needed was some software. Me and Mrs O'Hanlon recorded some scary sounds using the voice recorded on my phone which I then copied onto the Pi. 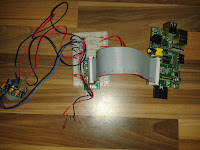 I started with the program from raspberry pi spy's article on cheap PIR sensors and the raspberry pi as the basis for my software to which I added in some code to flash the red led's when the PIR wasn't triggered and turn them on and play a random sound when it was. Anyway, my boy absolutely hated it, it made him cry :( but I stuck it outside the front of the house and the local children loved it.